$2,639.99 each List: $4,882.00, You Save: $2,242.01! Balanced Action Pedal Mechanism: spring tension is used to change the pitch of the heads, and no clutch is needed. The pedal action is smooth, and a spring tension knob at the base of the drum allows you to adjust the tension so that the action remains smooth throughout the entire range of the instrument. Suspension Ring: a single-flanged chrome-plated steel ring supported by thick struts will keep the bowl and the head from warping. 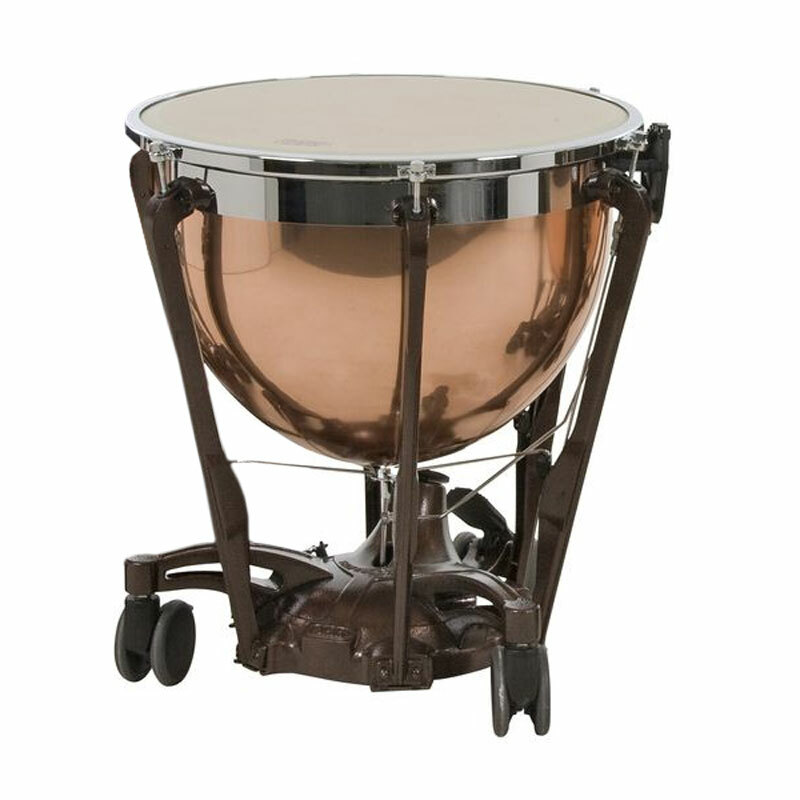 Wheels: the Professional Generation II timpani have a special set of wheels on either side of the pedal, which lock in place while playing. This small but significant innovation makes moving these bulky instruments as easy as possible.